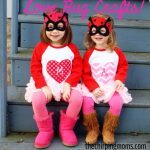 My kids love decorating for holidays! 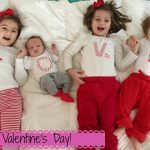 As soon as we took the tree down they were asking “what can we decorate for next?” As soon as I mentioned Valentine’s Day being the next holiday they were thrilled because that meant red and plenty of pink in the house! 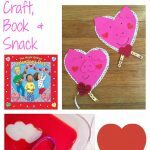 It’s time for another Craft + Book + Snack! 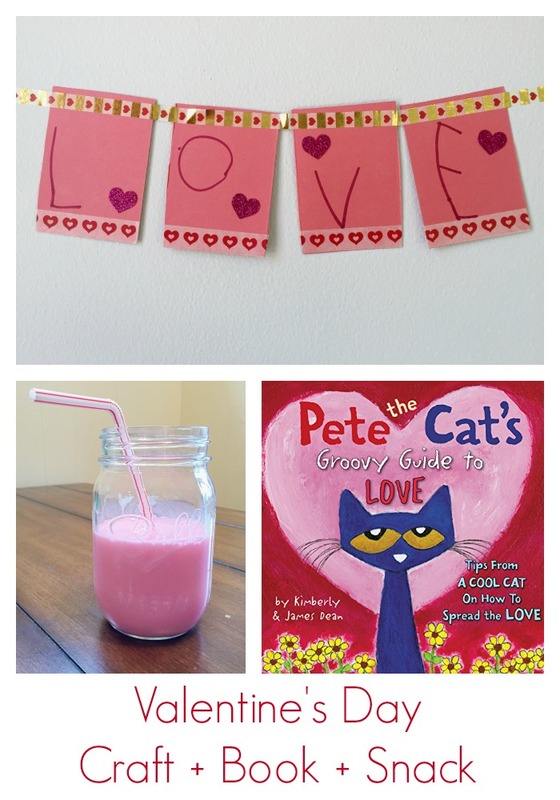 This one includes an easy way the kids can make a decoration for the house, a brand new Valentine’s Day book and a pink drink! Letting the kids make their own banners with washi tape was great because they could do the whole thing on their own – even hanging the banner. We now have quite a few of these banners hanging around the house! Cut out enough squares/rectangles out of card stock to spell the phrase you’d like. 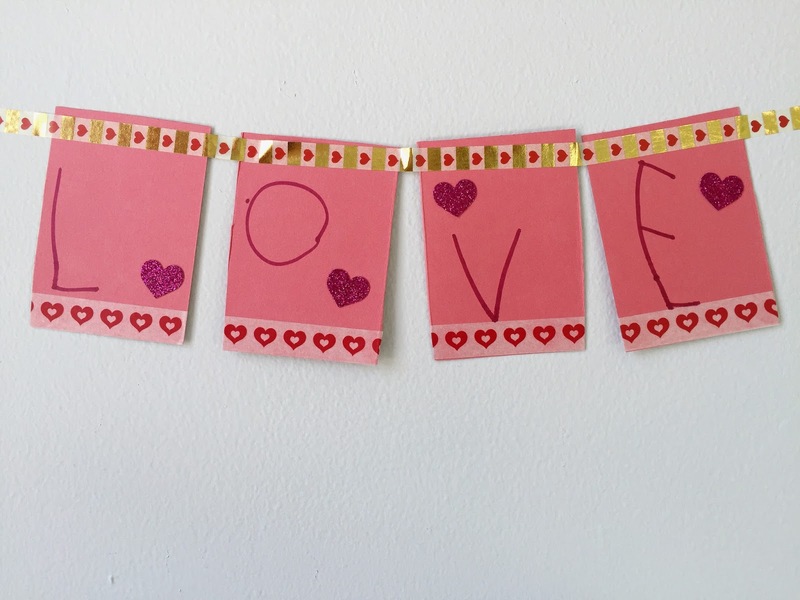 We started out with a small banner that said “Love” so I gave the girls 4 cards each. Have the children write each letter they will need on a card and decorate with stickers and pieces of washi tape. 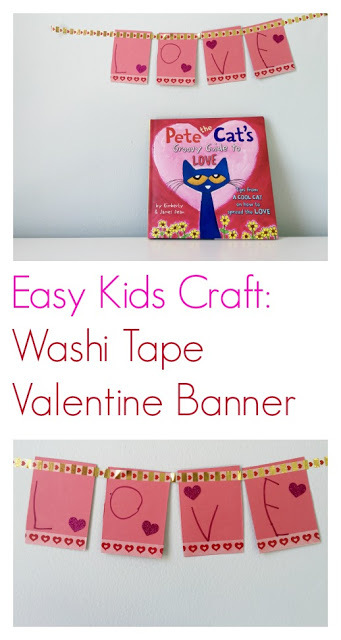 We found a set of various Valentine themed washi tape rolls at Micheal’s. 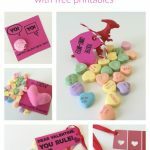 Last, have them line up the cards in order to spell their Valentine word and place a long piece of washi tape across the top. Now they can hang it on the wall and start decorating for Valentine’s Day! 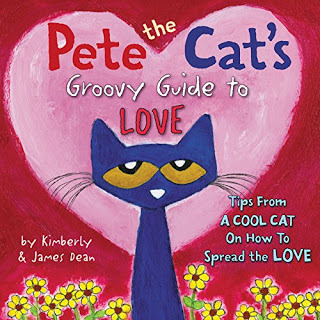 We read the brand new Pete the Cat book: Pete the Cat’s Groovy Guide to Love. 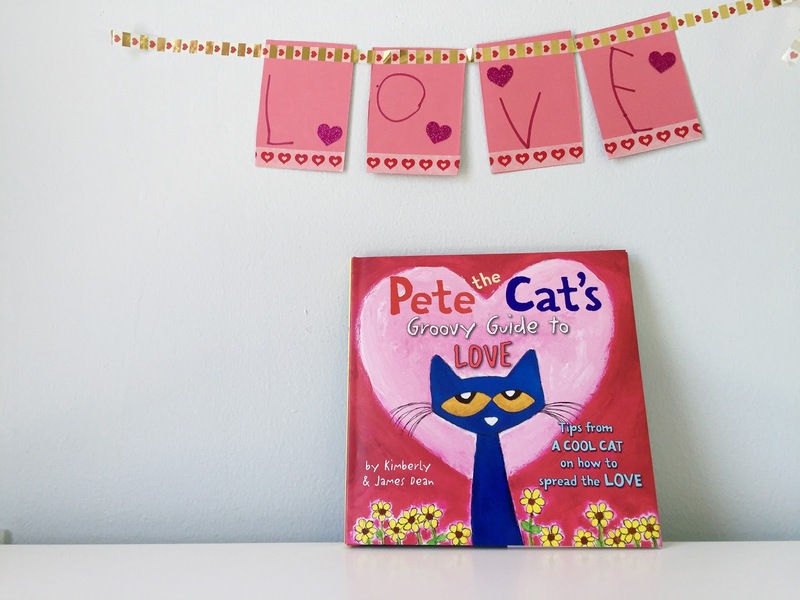 It’s an adorable book for Valentine’s Day that is filled with a fun collection of famous quotes about love. Pete gives his take on some classic quotes and “living an awesome life filled with love”. This snack is actually a festive drink, but being that it’s super simple the kids can make it on their own. 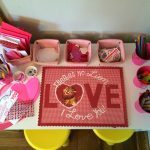 After making their own banner, the girls thought it was really neat that they go to make their own Valentine’s drink too. All you need is milk and strawberry syrup. 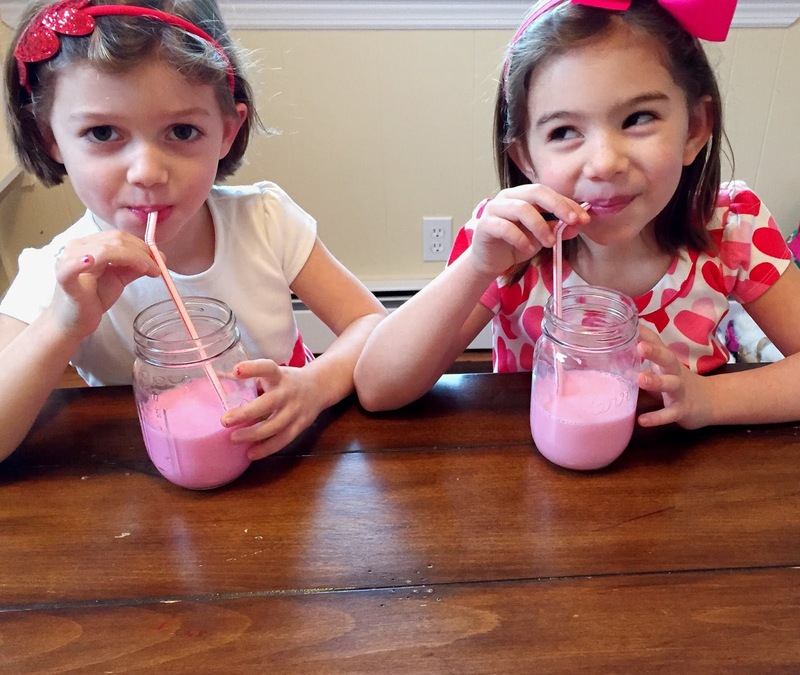 Let the kids milk it up and watch the milk turn pink. If you don’t have strawberry syrup (or your kids don’t like strawberry milk), you can also make the milk pink by letting them add a small drop of red food coloring to the milk and stir.